John William Helman was born in Satara, Bombay, India on 27 June 1896, according to his service record, but nothing has yet been found in the army or regimental birth records. He was the eldest son of Colour Sergeant Ernest William Helman of the Middlesex Regiment, and his wife Mary née Delany, of Southampton, who married in Gibraltar in 1891, according to army marriage records. The parents came to Guernsey while their son was "quite young", probably in about 1900, and the family lived at 2, Trent Cottages, Castel Hill. There appears to be no family connection with the island, but Col. Sgt. Helman's regiment had been posted to Guernsey at an earlier stage. After the family's return to the island, Mr Helman was employed as a gardener at Les Queux Manor Vineries, Castel, while a local newspaper report described John as having been "a promising pupil at St Joseph's R.C. School under Mr McDade". Helman's service record (service number J26947) indicates that he started as Boy, Second Class on H.M.S. Vivid, on 20 September 1913, and he is described as being 5'2" tall with a 32 "chest. HMS Vivid was the R.N. onshore barracks at Plymouth, and was later renamed HMS Drake. He was promoted to Boy, First Class on January 13 1914, and was then appointed to H.M.S. Victory as Ordinary Seaman on his 18th birthday. He stayed on Victory until 22 November of that same year, when he moved to HMS Excellent, the gunnery school for the Portsmouth area. Helman was promoted to A.B. on 24 August 1915, on H.M.S. Emperor of India, an Iron Duke Class Dreadnought Battleship, completed in 1914. 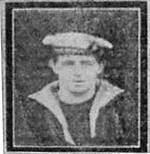 On 23 February 1918 Able - Seaman Helman was one of six seamen from H.M.S. Emperor of India who volunteered for special services. His service record also shows that he went AWOL at about this time, but was recovered and sent back. Helman was sent to HMS Hindustan, an old battleship moored inside Chatham Docks where Captain Halahan and his 200 sailors were joined by a detachment of Royal Marines under Colonel John Elliot for special training, which took place during February and March of 1918 near the village of Wouldham just outside Chatham. To make it more realistic, a model of the Zeebrugge Mole was built in a disused chalk pit and soldiers from the Middlesex Regiment acted as the German opposition. At no time during their training were the sailors told where or when the "stunt" might take place, and it was not until a few days before the attack, when they were aboard Hindustan that full details of the plan were explained to them by Admiral Keyes himself. Their task would be to block the key Belgian port of Zeebrugge, thus stopping access for the German Navy's coastal U boats to the docks used for shelter and repair. Vindictive was to land 200 troops at the entrance to the Bruges Canal (at the mile-long Zeebrugge mole), so that they could destroy its shore batteries. Even at this late stage, they were given the chance to withdraw from the operation, but none did. A local newspaper notes "That he (Helman) apprehended the grave risk of such an undertaking was apparent for his mother states that he wrote to a relative: "Don't tell mother I am going to Zeebrugge; the Captain says we are undertaking a terrible thing, and I may never see mother again". 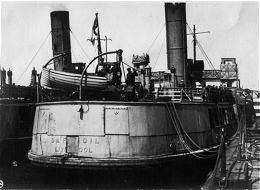 For the raid itself, Helman served on HMS Daffodil, a former passenger ferry across the River Mersey in Liverpool. It and its sister ship Iris were considered to be ideal for the Zeebrugge raid, not only because of their large carrying capacity, but also because of their shallow draft which would allow them to sail over the top of mine fields and navigate the shallow waters close to the Mole. Their double hulls made them almost unsinkable and they had an added advantage, in that as ferries they had been built to withstand constant bumping into quaysides. To explain their disappearance the people of Liverpool were told that the vessels were to sail across the Atlantic to collect American troops to join the war effort. Both ferries were to survive the Zeebrugge Raid and return to a hero's welcome in Liverpool to resume their peacetime duties. Iris and Daffodil sailed to Chatham dockyard where they joined the Vindictive and the other old cruisers which were all being stripped of their furniture, fittings and any useful pieces of equipment which would not be required on their final voyage. Having assembled in the Swin, south of Clacton, the fleet sailed for the Belgian coast at 5pm on the afternoon of the 22 April 1918. Seventy six vessels carrying over one thousand seven hundred men, formed up in three lines with Vindictive commanded by Capt Alfred Carpenter as the lead ship, towing the ferries Iris and Daffodil. As the fleet approached the Belgian coast, fast motor launches began laying a huge smoke screen in front of the Mole. Initially the wind blew in the right direction and the smoke completely hid the British ships. But at the last moment, the wind changed and the smoke cleared. The Germans sent up a series of star shells which lit up the whole area. Heavy guns immediately opened fire on the Vindictive which by this time was less than 100 yards from the Mole. She also opened fire, but the German guns on the Mole had an easy target and their shell fire was devastating.